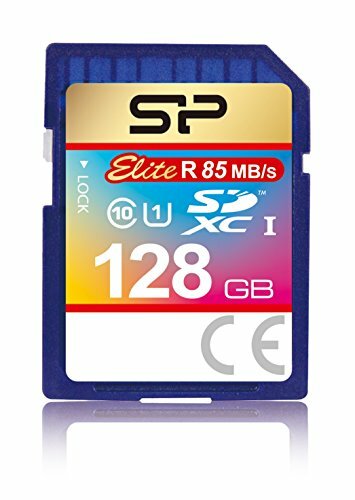 128GB SDXC memory card for DSRL cameras and high-end point-and-shoot cameras. Compatible with SDXC CL10 and UHS-1 (Ultra High Speed 1) standards, and offers read speeds up to 85MB/sec. Backed by a lifetime warranty.